Try out Usersnap in combination with your WordPress, Drupal or Joomla project and start collecting feedback in a non text-heavy way, with annotated screenshots! Sign up for our 15-days free trial, or log in to your Usersnap account, and edit the settings for your website. Probably the most sensible way to leverage screenshot functionality is in building customer communities. Social media best practice is moving toward proactively managed enterprise communities that benefit from many of the features of traditional, consumer social media (and also enjoy many enhancements). Consumers appreciate your Facebook page, and might be willing to hit ‘like’ every now and then, but they don’t always appreciate discussions from their brand of dish soap popping up on their private wall. Managed customer communities are proven to lower customer support costs. Customers develop a large repository of FAQ and support material that is easily managed and analyzed through a platform such as Get Satisfaction. 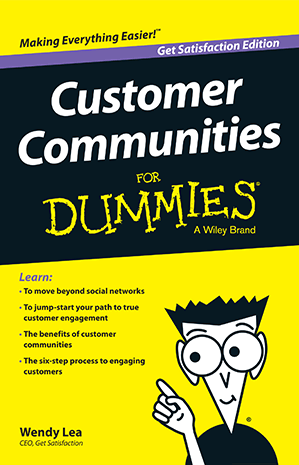 An excellent primer in customer community building was written by Get Satisfaction’s CEO, Wendy Lea, who has been a great advocate for the evolution of enterprise social media away from the fuzzy metrics of the FB page, and toward active, managed communities with a measurable impact on ROI. It’s taken a while for enterprises to realize how best to use social media. Sales metrics, return on marketing investment and ROI don’t often synchronize well with the vocabulary of the early 2010’s social media expert, whose ‘share of voice’, ‘engagement’, and ‘nurturing advocacy’ make smoke come out of the ears of 90% of CFOs. Here is an example of where things can get weird. My good friend Media Czar (coincidentally also one of the greatest social media and marketing minds of his generation) sums it up nicely in his blog ‘The Magic Bean Lab’. Media Czar points out that most of the metrics and ideas used to describe the effectiveness of social media don’t mean anything. But there are two important measures that don’t often feature prominently enough in any enterprise social media conversation: reducing costs, and increasing sales. I’m going to focus on reducing costs, because that’s what I know most about. Eric Meyer: we’ve got the solution for your problem! In the spirit of eating one’s own dog food, I installed the Usersnap plugin for WordPress on my blog. Not only can I now send myself annotated screenshots of things I should really tackle when I’ll work on my website next, creating a very visual to do list, but additionally my readers can highlight typos or widgetty stuff they’d like to see improved. And I can collect that feedback in one place, in a separate folder in my inbox. Which is great, because I used to receive feedback scattered all over the place. My mom would send me a direct message on Twitter, issuing me to ‘mind my language’, and grammar enthusiasts would directly mention me or reply to the post in question. Which doesn’t look all that professional, and blocks discussions on the actual topic of the post. All in all, Usersnap made my life as a blogger easier. Let me walk you trough the – dead easy – set up. I downloaded the plugin and uploaded it to my ftp-server. You could also just download it directly in the WordPress Plugin environment, I just like to have a copy of everything I use in a folder on my computer. 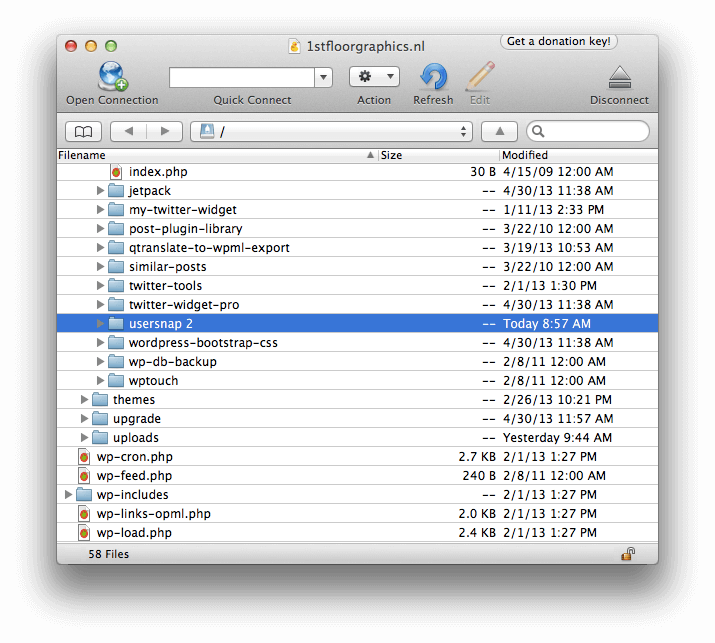 Then I activated the plugin in the plugins directory of my blog. Continuous Integration and Continuous Deployment are strong concepts in modern software development and specifically useful and necessary for cloud applications. Delivering code continuously keeps the product development agile and allows for fast iterations. Specifically when it comes to SaaS products or services, the way to ship software has to follow the continuous track, delivering new “releases” several times a day. For example, at Quora every commit is submitted to the production system, unless this process is actively suppressed. Ever decreasing software release cycles also require to rethink the way feedback from real users is gathered. Bimonthly user experience reviews with a selected set of customers are not suitable if new features of a product are published daily. Tools to suggest improvements and to report bugs need to be actively integrated in the product development process, addressing not only a selected group of testers but also includes real users. This blog post is essentially an extended tutorial, explaining how to set up a 3C software production chain:- Continuous Integration, Continuous Deployment and Continuous Feedback. We will use Microsoft Visual Studio and deploy directly to Windows Azure (Section 1). After that we connect Microsoft Team Foundation Server Online to our tool chain (Section 2) and subsequently connecting TFS with Windows Azure to establish Continuous Deployment directly from Visual Studio (Section 3). Finally we will add Usersnap to introduce Continuous Feedback to our setup (Section 4). Since a standard “Hello-World” approach is always disappointing, we decided to create a tweet-wall which displays tweets containing the hashtag #usersnap. Lots of screenshots should provide a step-by-step tutorial to get you started with Visual Studio 2012, Team Foundation Service and Azure and finally Usersnap. There is no need to write code while walking through this tutorial. Working with bug tracking software can be an extreme pain for the communication/marketing side of your startup. Oftentimes using one or more tools alongside is forced upon them and they don’t always have the notion how important browser- or OS specifics are. Believe me, I’ve been on both sides. If your communications team won’t happily help their programming co workers optimizing the side, how can you expect your users or customers to do so? Let’s talk about how to make bug-fixing fun again! It has been announced that YouTube gets another new layout and as always, YouTube offers a feedback button on the bottom right corner to collect textual and visual feedback from their visitors, which is an extremely good idea. Lessons from a 125 year old business. When I was 3 years old, my parents had a grocery store selling almost anything. I spent my days observing customers and finally I came up with the idea to sell onions in front of the store, directly on the sidewalk to attract more customers. My mum told me that I need to address everyone to offer what I had to sell. Finally, I sat there waiting for my first customer to do business. I took all my courage I had as toddler and did what I was told: I asked everyone passing my kiosk if they needed onions. Surprisingly an old lady wanted to buy a kilo of onions when I suddenly realized that I was not able to weigh them – I couldn’t even read numbers at this time. At the end of that day my conversion rate was zero – I sold not a single onion but I learnt a very important lession: You’ll only have the chance to sell if you get in touch with your customers and if you can deliver exactly what they need. My parents are still running their 1887-founded business. In the 125 years of its existence, some major pivots were made (they made pivots before it was cool) ranging from selling leather propulsions followed by a grocery store which transformed to a successful niche player: today Betten Leimer produces and sells feather beds.